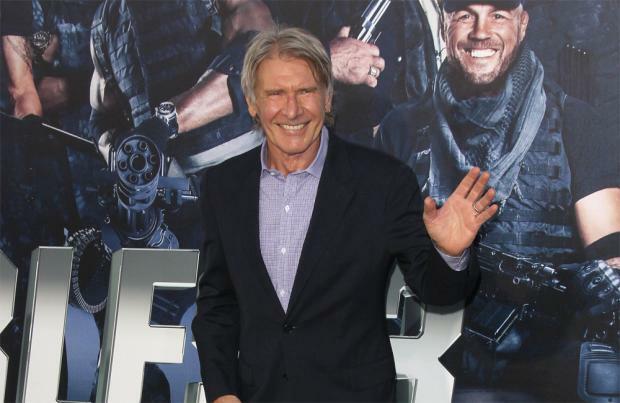 Harrison Ford "never thought" he'd return to 'Star Wars'. The veteran actor, 73, admits it should have felt "ridiculous" to reprise his role as Han Solo but he was very "proud" to be a part of 'Star Wars Episode VII: The Force Awakens'. He said: "It never occurred to me to think about returning to play Han Solo because I never thought it would come back. "I never thought we would do another. "It should have felt ridiculous... I will tell you, it felt great. I was proud and grateful to once again be involved." Ford and director J.J. Abrams felt it was important that, 30 years on from 'Return of the Jedi', Han had "matured", though was still "very much" how he always was. The filmmaker explained to Total Film: "I think it was really important to Harrison that Han Solo had lived a life. "Meaning he can't come in and do, or be expected to do, the same thing he did when he was 30. We both agreed on that. "It would be ridiculous if he hadn't matured somewhat. But at the same time, as we all know, how much do we ever really change? And so he's still very much Han Solo."